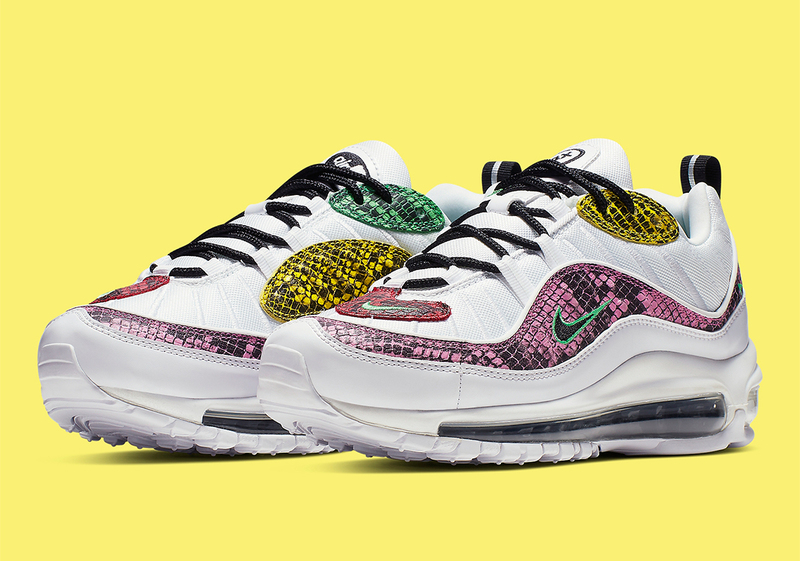 After a wildly successful revival for its 20th anniversary in 2018, the Air Max 98 is once again serving as an integral part of the Swoosh Brand’s lifestyle releases in 2019. 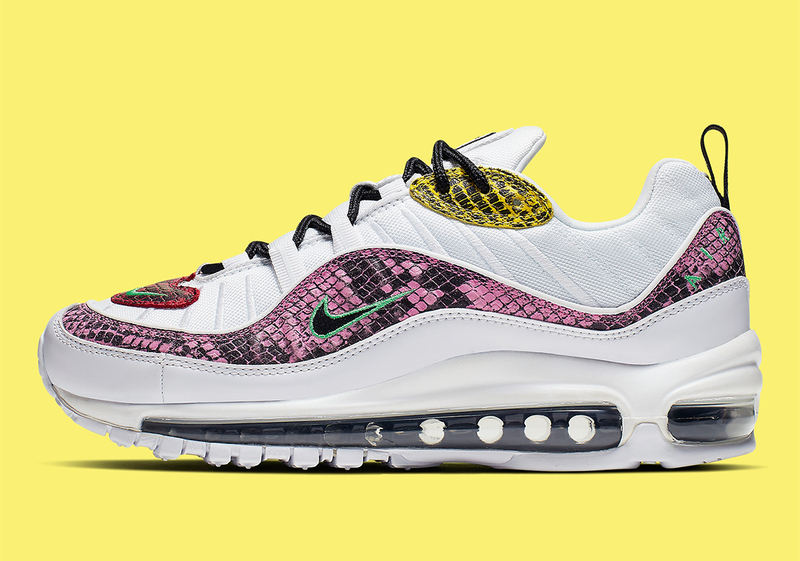 It’s already released in a handful of bright and bold new colorways, and the latest makeup to appear is a new women’s-only pair that boasts colorful snakeskin accents. 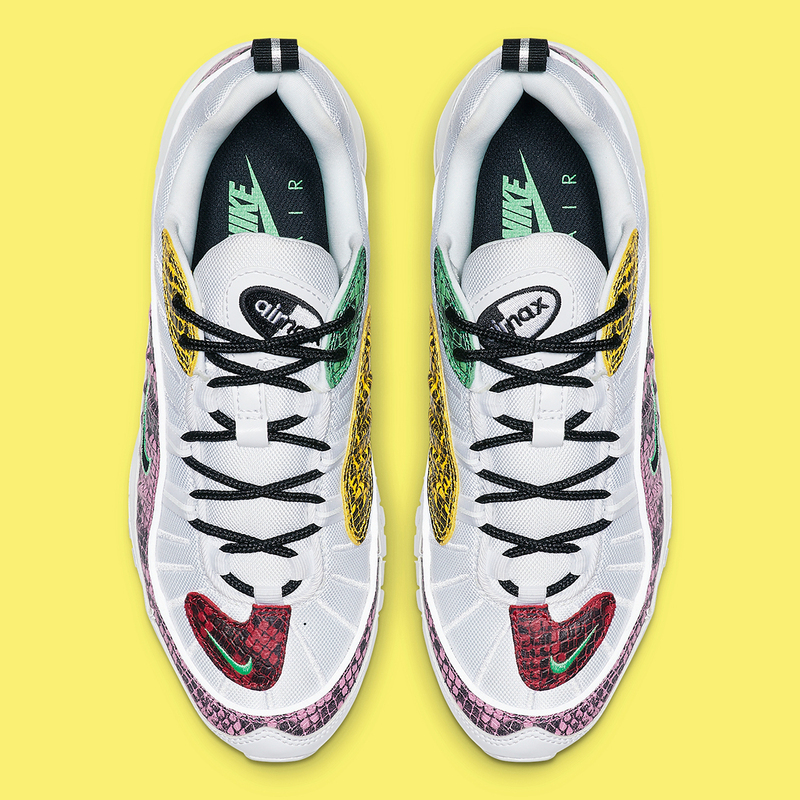 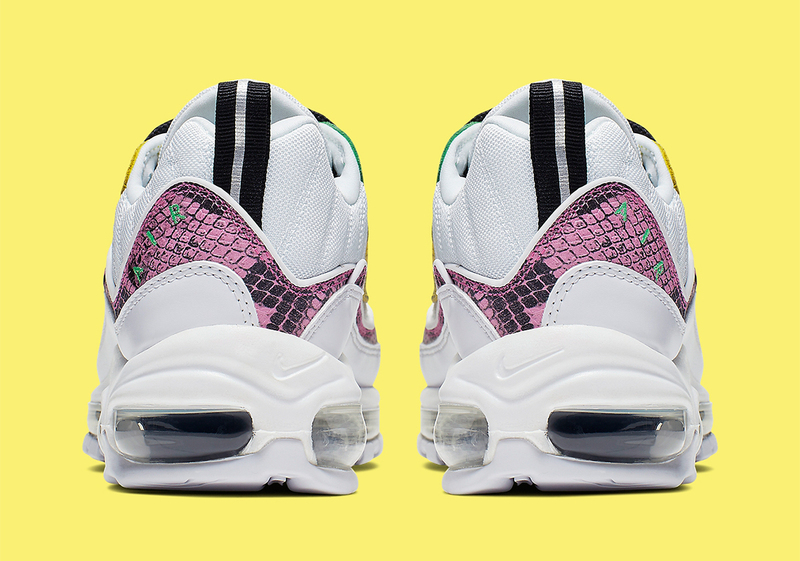 Drawing from a pop art style-influence, this 98 calls upon a stark white for the base, then dresses the overlays in a Warholian palatte of dashing pink, red, green, and yellow snakeskin — all emphasized by small mint green Swooshes. 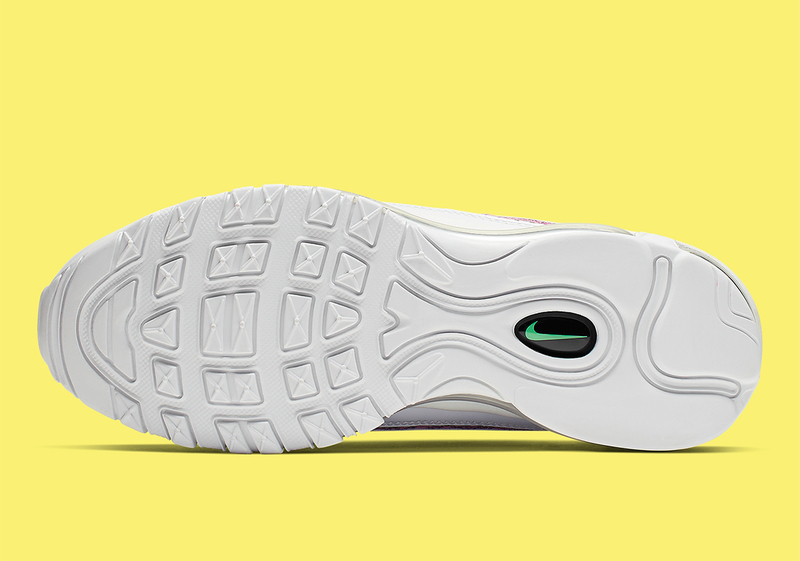 Black accents then arrive on the laces, tongue, heel tab, and Air Max unit to finalize the retro-futuristic look. 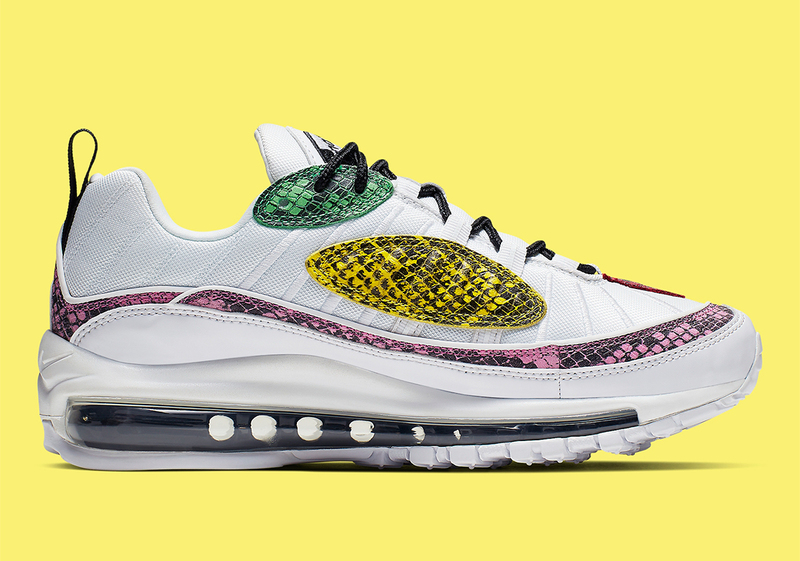 Enjoy a full gallery of official images below, and look for this masterful Air Max for the ladies to release on Nike.com in the coming weeks.